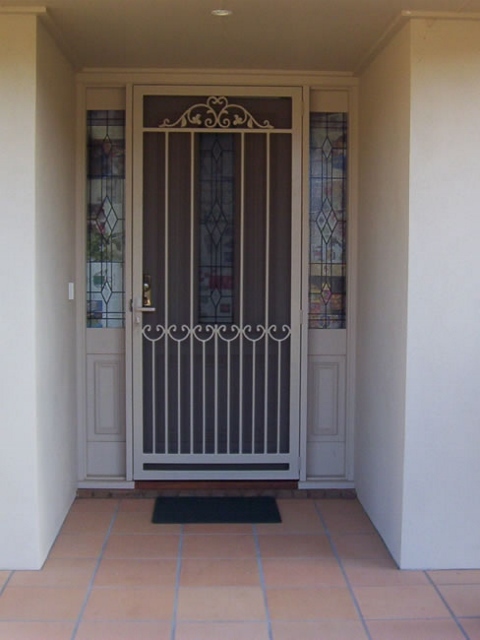 The Mont Albert steel security door is a very popular security door for the simple fact that it just looks elegant on any home (see photos). 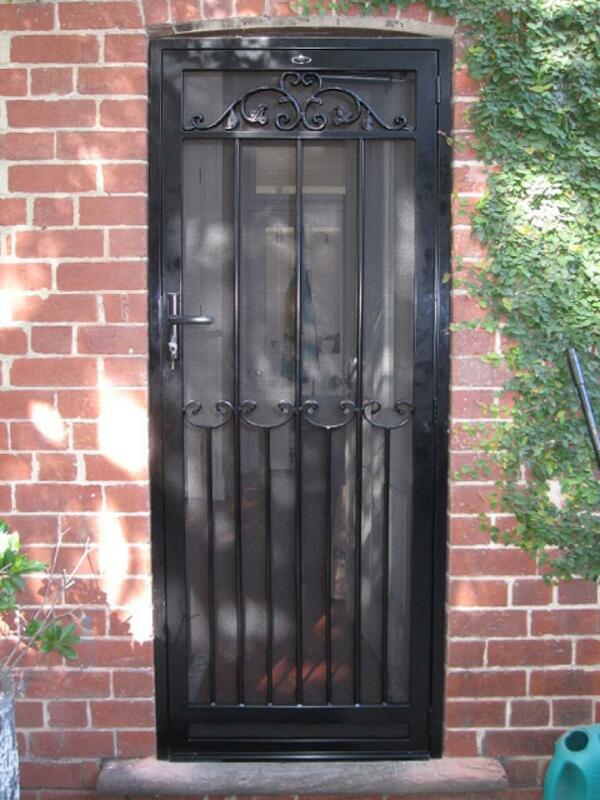 This security door has been truly designed for a federation home with it’s top wrought iron scroll ( with leaves in it ) and central loops that create a simple harmony with the whole of the door. 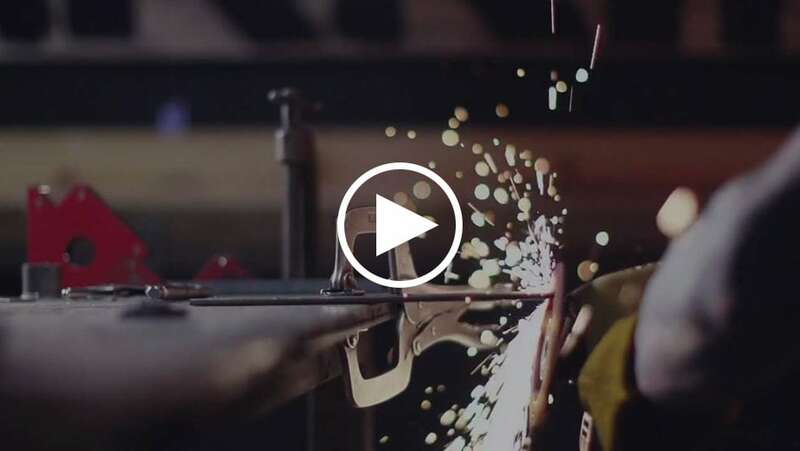 The Mont Albert steel security will fit in with any type of fret or scroll work that you have on your home. 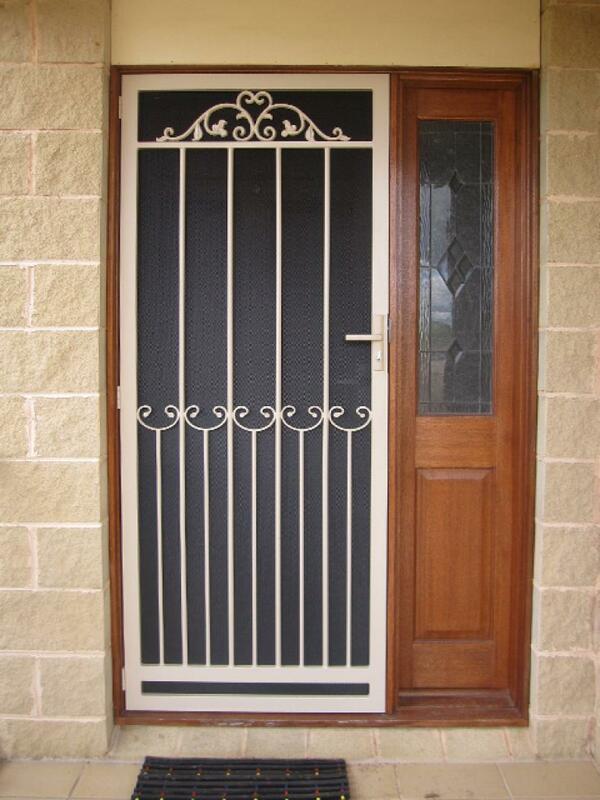 The Mont Albert steel security door will suit almost any home at all, Mont Albert or not it just looks good.